I LOVE MY ANGEL THERAPY! I talk to them regularly and know I am never truly alone.. 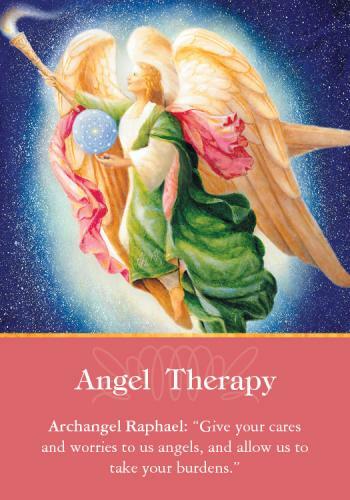 Working with Archangel Raphael: Ask Raphael to surround anything needing healing with his emerald-green aura. The crystals that are aligned with Raphael’s healing energy are emeralds and malachite.